Your doctor may order other tests to determine the cause of hypertension and to check for organ damage. Learn what these tests are. 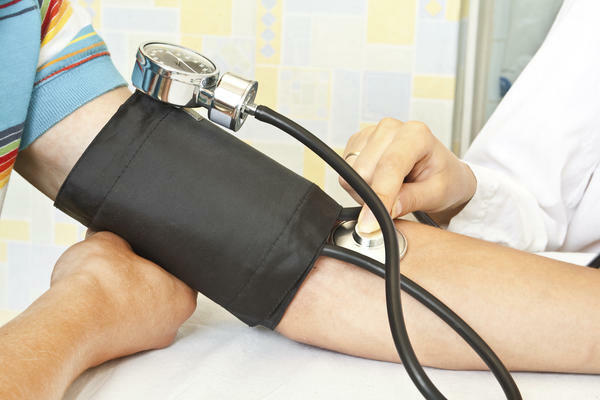 Tests for high blood pressure are required by a doctor to determine the causes of high blood pressure and to verify if there has been damage to any organ as a result of high blood pressure. The results of the test are also a basis of treatment. Aside from monitoring your blood pressure regularly, these tests will not only verify that you have hypertension but will also help your doctor to prescribe the right medications to control and treat high blood pressure. The costs of tests for high blood pressure vary. Check your insurance companies for the various tests included in your insurance coverage . However, remember that your health is priceless. Tests for high blood pressure include blood tests by which which electrolytes, blood urea, nitrogen and creatinine levels are measured. A creatinine level test is essential in determining if kidney has been affected by high blood pressure. Lipid profile is conducted to check for levels of different types of cholesterol. Special tests for hormones of the adrenal or thyroid gland, urine tests for hormones and electrolytes, and a noninvasive eye test to rule out eye damage. A kidney ultrasound and CT scan of the abdomen or both are performed to determine damage or enlargement of kidneys as well as of adrenal glands. Tests performed to determine damage to the blood vessels and heart include an electrocardiogram (ECG), echocardiogram, chest x-ray and Doppler ultrasound. ECG is noninvasive and records the electrical condition of the heart. The results are used to evaluate the heart muscle for damage such as when patient suffers from a heart attack. ECG is also used to detect a thickening of heart wall or muscle which is the usual complication of high blood pressure. An echocardiogram is an ultrasound test of the heart performed from the patient’s chest. A picture of the heart is taken through discharged sound waves to detect heart defects and view it from a video monitor. The heart defects may be a heart enlargement, heart wall motion abnormalities, heart valve abnormalities and blood clots. A Doppler ultrasound inspects blood flow through arteries from pulse points of the hands, arms, legs and feet to detect peripheral vascular disease as well as artery narrowing which may cause high blood pressure. A chest x-ray is used to size the heart in a less specific manner.